There’s Still Time to Show Your Support for Prisoners of Conscience This National Day– Take Action With Amnesty International! Amnesty International has created an action to press for the release of prisoners of conscience in Vietnam on Vietnam’s National Day. National Day is a day when Vietnam has been known to grant amnesty to prisoners, but no political prisoners are expected to be released this year. The Amnesty action highlights the cases of Father Nguyen Van Ly, Ta Phong Tan, and Tran Huynh Duy Thic in particular. Please follow the link to the action: click here. 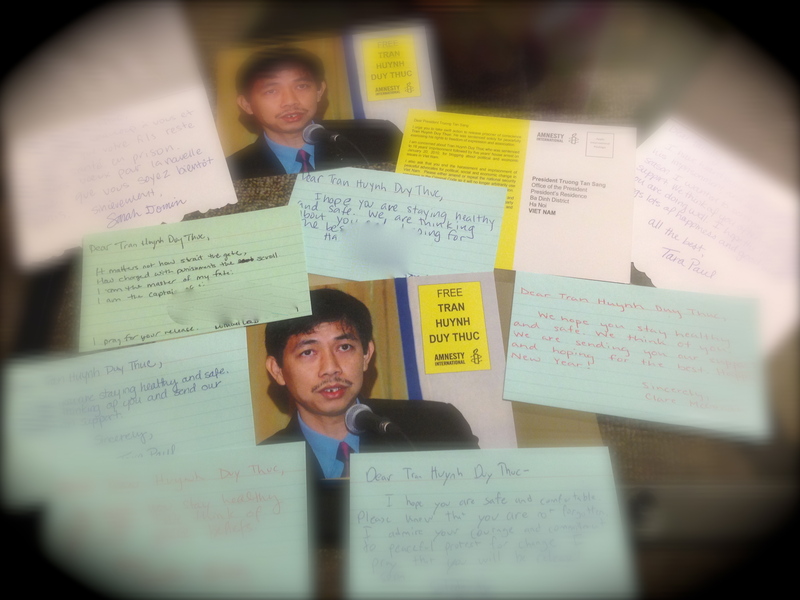 National Day is September 2nd, but you can show your support for Vietnam’s prisoners of conscience year-round by taking part in actions like this one and others listed here on our website (click here for more information on taking action).